“RSA PTIs” are Parent Training and Information Centers (PTIs) funded by the Rehabilitation Service Administration (RSA) under the Office of Special Education and Rehabilitative Services (OSERS), which is part of the US Department of Education. There are seven (7) RSA PTIs throughout the US that provide various training and programming to youth/young adults with disabilities and their families, professionals, and other PTIs on the issues surrounding Youth Transition, the period of time between adolescence and adulthood. The RSA PTIs support these various entities in the following states: Arizona, Colorado, Connecticut, Indiana, Kentucky, Maine, Massachusetts, Missouri, New Hampshire, New Jersey, New York, Ohio, Pennsylvania, Vermont, Washington. The LINK Center: Connecting to Your Future is a project of The Federation for Children with Special Needs (MA) that assists families, professionals, and individuals with disabilities who are transition age (14-26) to access information, supports, and services to achieve their future vision. 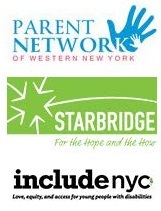 New York State Transition Partners is a collaboration of Starbridge, the Parent Network of Western New York, and INCLUDEnyc, providing information and strategies to help young adults with disabilities and their families to access and navigate vocational rehabilitation and other public systems that can help with financial stability, meaningful employment, and post-secondary education. 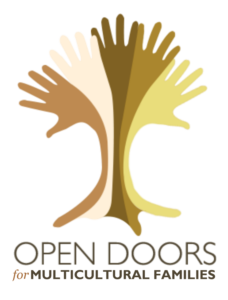 Open Doors for Multicultural Families (WA) has established a Multicultural Parent Training and Information Center that provides culturally and linguistically appropriate information about transition to adult services, post-secondary resources and services for culturally & linguistically diverse (CLD) youth with developmental & intellectual disabilities (DD/ID) and their families in Washington state. Technical Assistance is provided to professionals working with transition age youths and their families in the different parts of WA. Project Launch via PACER Center works in partnership with parent centers in Indiana, Kentucky, and Ohio to help youth, adults, families, professionals, and employers understand how key laws — The Individuals with Disabilities Education Act (IDEA), the Rehabilitation Act, the Workforce Investment Act, and the Americans with Disabilities Act — can help individuals with disabilities create a positive future. REACH for Transition (Resources for Employment, Access, Community Living, and Hope) acts as a Statewide Parent Advocacy Network (SPAN) collaboration between 9 parent centers (in the states of CT, ME, NH, NJ, NYC, PA, VT) serving parents, youth/young adults with disabilities, and professionals, and their Vocational Rehabilitation, Center for Independent Living, and other adult system partners represented on the project’s 22 member Governing Board. The purpose is to provide innovative and responsive services that are designed with and involve diverse youth/young adults with disabilities and their families, highlight the region’s strengths and collaborative spirit, and evolve as needs and contexts change, through a regional Community of Practice that enhances participating parent center capacity, reach, and partnerships around transition and adult service systems. The purpose of the PEAK Parent Center RSA Shift Transition Project (Shift) (CO & NM) is to develop and pilot accessible, high quality transition curricula and resources, and to use the materials to inform and train youth with disabilities and their families to realize positive futures. Beginning in year four of the five-year project (October 1, 2017–September 30, 2018), the Shift project is providing its materials and technical assistance to four Parent Centers (both PTIs and CPRCs) in other states to assist them in improving their transition services to youth and families. Topics covered in the Shift project resources include developing self-advocacy skills, transition to college, post-secondary opportunities, how to plan for positive futures, and how to navigate through systems to access supports and services after leaving school. The overall goal of the STELLAR (Supporting Transition to Engaged Lives by Linking Agency Resources) project put on by MPACT (Missouri Parents Act) is to develop the capabilities of families to be informed and effective partners in their children with disabilities’ transition to adult life; and to facilitate system change that supports all children and young adults with special needs to achieve the realization of their personal goals in education, employment, living outcomes and community integration.